We’re back after nearly 4 weeks without a Chris/Dave show! Dave just interviewed a 105 year old hobbyist! Dave just got a Rode Podcaster. Chris uses the Zoom H1 when on the road. Even though Chris just got back, he will be traveling again and there will b a bunch of meetups. Chris will be giving a talk at Maker Faire (time, location TBD) on revision control for hw. Hackaday Meetup on the Saturday of Maker Faire. The London Science museum was fantastic! They have the Watt workshop there. The London Amp Hour Meetup went great! Check out pictures from the event. Lots of negativity going on in the electronics industry these days. Makerbot surprises no one by killing their US mfg. Microchip/Atmel is having disputes with their severance packages. Intel is laying people off. A bit of good news, Electric Imp raised some (more) money. Maybe there are some jobs there? In general, the future of electronics companies seems to be changing. Nest is bricking hardware (Revolv) that consumers thought they would support. Jack Ganssle mentioned similar things about the ARM mbed in the past. What happens when you don’t control the toolchain? Microchip is moving that way as well with their online compiler, MicrochipOne. If it’s ease of use that you seek, you can hot load a program onto a Raspberry Pi Zero using the PiShift. (Explained by Tom at the London meetup). Dave has been searching for aliens (SETI) using software for the RPi called boinc. It all comes down to MIPS/watt for processing these datasets. There was an article from Georgia Tech about FPAAs being more efficient. This would be a drastic swing back to the old way of doing things (when op amps were used for math operations). Chris and Mike saw a bunch of analog computers when in Serbia. Chris has been releasing 2 minute topic videos. Suggestions welcome! Dave has been working with his mystery manufacturer, spending time up front on chip selection so that there is enough room in the memory for firmware updates and new features. Chris saw a presentation about machine learning with software called The Wekinator by Rebecca Fiebrink. There is also an associated course you can take. There is more space stuff happening. Stephen “Steve” Hawking and other scientists announced plans to send ships to Alpha Centauri, even if there might not be full details on how that’d be possible as of yet. 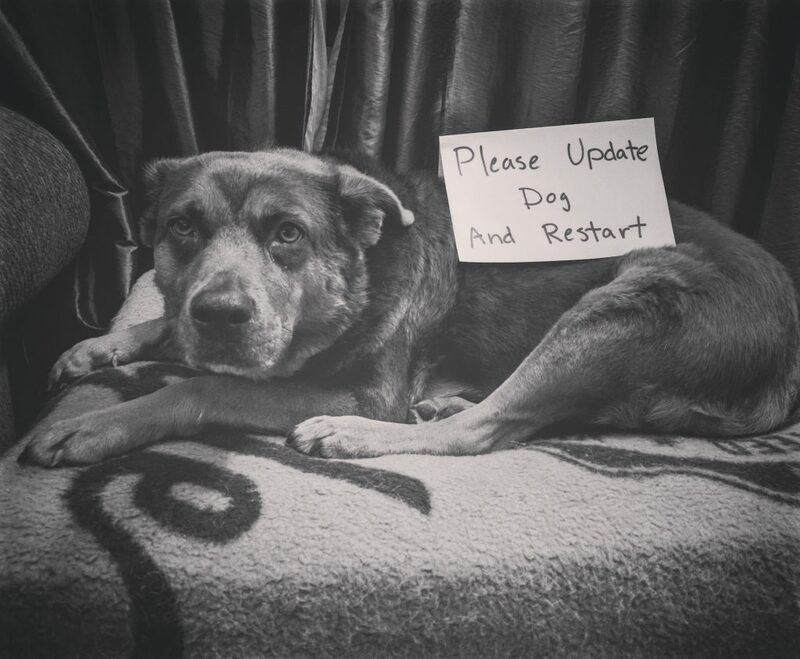 I read the title as Gotta Update, my Dog. Its one thing to store a bit as a few levels, but I am guessing analog voltages are not conducive to digital circuitry noise and whatnot, so I am totally confused about why this would be a movement to analog computing… What is amazing is the fab gets smaller and the number of transistors keeps going up and then you can serialize the multiplex connections between ICs. But the future possible light based/quantum devices may help. I would say hardware design is a strategic skill. With everything heading east what happens with a major war? Yep we all know all wars are over by christmass. Even if assembly is ring fenced locally with ‘just in time’ manufacturing and little to no stocks of basic parts it is game over after a few months. Many managers I have met really think a few training courses will get you an experienced engineer!!! It was good to hear Dave on the show again, although Chris did an awesome job with the around the world shows. With regards to the Intel layoffs, I was not personally affected by them, but I sort of seen it coming while I was at the Folsom, CA campus between October 2015 and March 2016; that is about all it took for me to realize it wasn’t for me so I jumped ship to go play at a non US company down the street. I do know some folks that were affected and are out on the market again so I feel for them. Prior to me going to Intel, I was at Emulex last year which after being purchased by Avago was decimated to nothing. And, prior to that I was at HP in Roseville, CA where I was walked out the door after 11 years of service although that was the best thing to happen to me in my tech career. There is no wonder my daughter is not interested in the tech business. So, now outside of Intel, HP is in the process of thinning the herd, Micron in Folsom has a hiring freeze, but I hear Apple is expanding its campus in Elk Grove. There are a few smaller tech companies in the area, but nothing that can sustain the amount of tech layoffs the area has seen, or is about to see. I guess if I see another exist from a company, I might just have to start a podcast and be cool like you guys. I’m glad that Chris had a great time at the science museum. I’m a massive fan of the podcast but as a member of the British Interplanetary Society and the host of the “Interplanetary Podcast” I need to pull you up on the slightly mocking tone of the British contribution to space. Firstly the BIS is the oldest Space advocacy society in the world. It’s famous members include Sci-Fi legend and space visionary Arthur C Clarke, who conceived the geostationary satellite amongst other things, Patrick Moore whose moon maps were vital to Apollo.. The BIS also laid much of the ground work of Space travel, to the point some would say the BIS invented Space travel. For example the Apollo capsule was based on work by the BIS. The only serious interstellar spacecraft study was done by the BIS called Daedalus. The British build a lot of space stuff also. The solar panels and optics of Hubble, systems and parts of most ESA space craft, including the major contractor of the EXO Mars mission. We also have an Astronaut Tim Peake, on the ISS as I write. As for the future? Skylon may turn out to be the most important space vehicle for decades. Basically, the British contribution to the Space race is considerable and yes it all relies on the greatest brit of all time …Newton :). Anyway, it was just because the Newton display was the FIRST thing I saw that it made me laugh. After that, it was really great to read about Brit contributions. Plus I’ve seen stuff at other museums before and to ignore the international partners in the space program and the groundwork that was laid by others would be foolish.